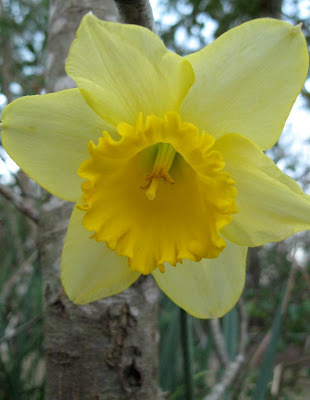 Hello, daffodil! I am so happy to see you in the midst of this weather that is unusually cold for our coastal region. The red maple blooms that I photographed and posted Feb. 4 have finally given way to baby red maple wings. The seeds have some maturing to do before they are ready to ride the wind. According to eHow, the wings are called samaras.